A new kind of missionary journal. Your happiest moments. In the moment. Only for the happy moments. Wherever your mission takes you. Take your happiest moments with you. For yourself. For posterity. For eternity. Capture the happiest moments in the moment with a Small and Simple Moments pocket journal. Get yours here. Hello Sister Missionary! These small journals are intended for only the joyful, funny, amazing, happy moments that occur in your day. Supplemented with inspirational scriptures and sister-missionary-focused quotes, it is waiting for the addition of your own special moments. Designed to strengthen, uplift, and help you see the Lord's hand in the Work, this small record-this collection of your tender mercies-will become a treasured keepsake. ・sized at 4.25 in x 5.25 in. They tuck easily into a pocket, proselyting bag, or scripture case so that you can capture your happiest moments in the moment. I love it so much! At the end of the day, I think back to all the great/funny parts and write them down. I love looking back at what I wrote in the MTC and even the first week I was in California. I loved having my happy book. I loved it so much I even gave one to my mission president's wife, and she kept one too. I used it all throughout my mission to write down everything happy that happened. I loved how it was small enough it wasn't a huge burden to carry with me everywhere I go. It helped me when I was feeling down, when I had to spend sick days in the apartment, having a little difficulty with a companion, etc. Reading all the happy things that happened would always lift me up and remind me of how amazing the journey can be on a mission. Is your Missionary learning to cook? We love missionaries too. Download this FREE recipe ebook for your missionary today and join our community. 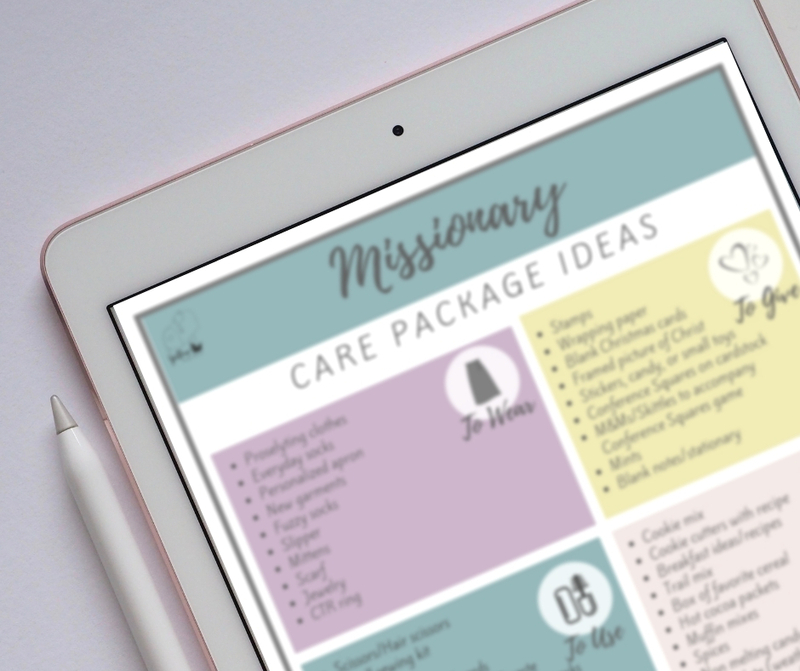 Fun, useful stuff your missionary will LOVE! Created with input from dozens of missionaries and missionary moms. No spam. We promise. Unsubscribe at any time.